How can you crack the case and uncover sales ROI for your organization? 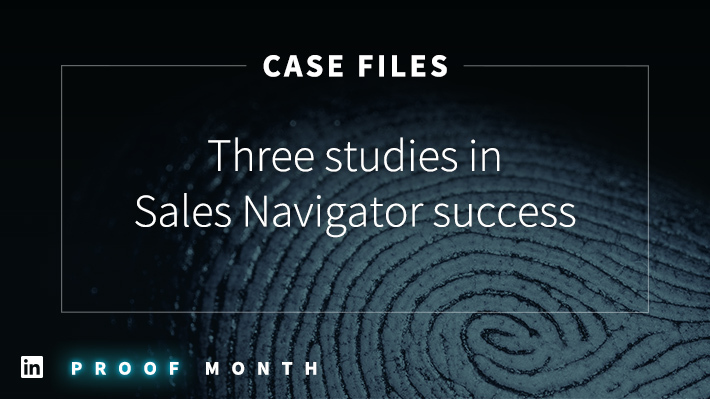 These three case files shed light on the role of Sales Navigator in revealing proof. Stories carry a great deal of power. Whether truth or fiction, a compelling narrative can penetrate the haze that surrounds many of us in this age of information overload, providing context and structure for data points and takeaways. This premise is at the core of content marketing, and is also a key tactic for selling. Plenty of reps find success by sharing case studies and tales of past achievements by users of their products or services. In our ongoing search for proof this month, we thought it might be helpful to highlight three stories from companies that were able to decipher ROI, with the Sales Navigator tool serving as their compass. You can find expanded versions of each in our eBook, The LinkedIn Selling Tactical Plan. but read on for briefings on each of these accounts from the field. We’ll explain how Crane Worldwide, Infosys, and Sprinklr were able to solve the enigma of sales ROI, deliver clear-cut results, and find their happy endings. Oftentimes, the key to overcoming adversity lies in the unseen. This was the case for Tim Zubradt, Chief Sales Officer for Crane, who credits Sales Navigator with a critical revelation. Sounds like the setup for a sales horror story. But Zubradt was armed with a powerful tool for removing tension from any chilly situation: an ice-breaker. Through the TeamLink feature in Sales Navigator, Zubradt was able to chart out a web of mutual connections between himself and the prospect, generating familiarity and momentum to move forward. He says this is hardly a unique circumstance for his team, which has been able to easily tie closed deals to the roles LinkedIn and Sales Navigator play in facilitating warm intros and quality conversations. As Manager of Corporate Sales for Infosys, Jagjit Singh has an acute understanding of the impact social selling can have in B2B sales. But he admits that communicating the value throughout his organization hasn’t always been easy. Many seasoned sales pros, after all, are creatures of habit and set in their ways. How was Infosys able to break through and spur adoption? Stories! It was simply a matter of laying out the evidence. Singh and his team would select “champions” based on results that were clearly being achieved through social selling on LinkedIn -- leads being saved, InMails being sent, active participation on display -- and those individuals were able to train others by going beyond hypothetical outcomes and offering tangible proof that these efforts were paying off. Every great salesperson functions as a detective, seeking out clues that come together and point toward a hot opportunity and eventual deal. Sales Navigator is the tool that helps Sprinklr’s highest performers crack cases. Saving and tracking leads in Sales Navigator has been a vital step in the investigative process, he says. Instead of needing to dig around with a magnifying glass for those pivotal clues, the sleuthing takes care of itself. 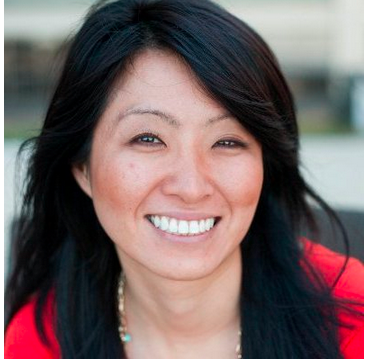 Ready to write your own sales ROI success stories? Make sure to download the LinkedIn Selling Tactical Plan.